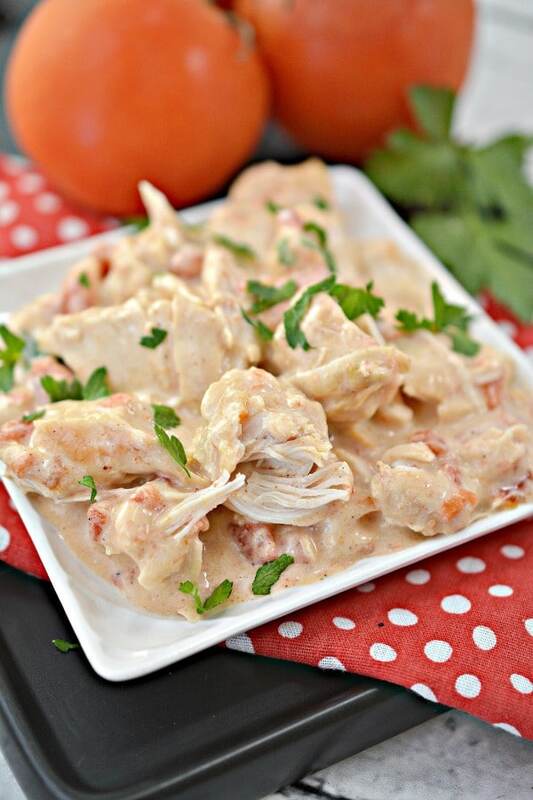 This Instant Pot Queso Chicken is crazy easy to make and so yummy! Even better, if you’re trying to watch your carbs or are following a keto diet, you can enjoy this dish guilt-free. When I say this meal is easy, I mean it! It’s a dump-and-push-start Instant Pot recipe with very little hands-on time since the pressure cooker does most of the work. 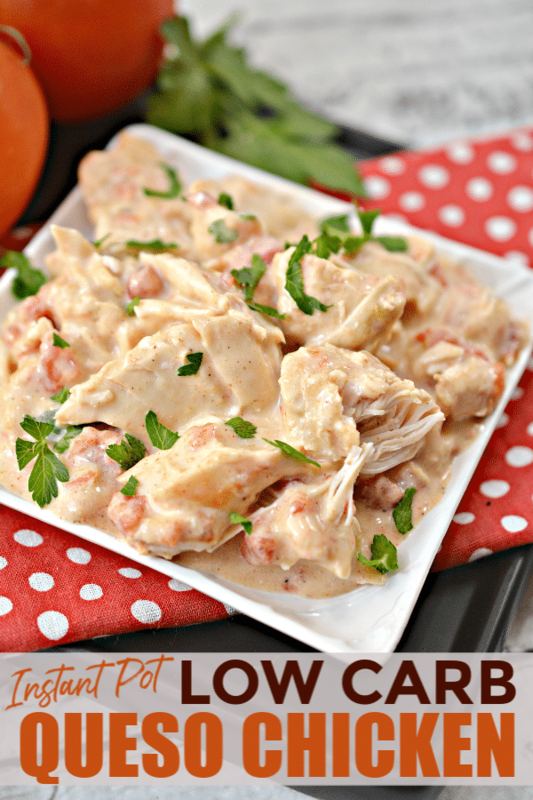 If you’re looking for a delicious, low-carb or keto meal that even the kids will gobble up, you’re going to love this Instant Pot Queso Chicken! This Instant Pot Queso Chicken is one you can whip up any night of the week since you likely have most of the ingredients on hand already. If you don’t have chicken tenderloins, you can use breasts, just slice them into strips to make sure they cook through completely. 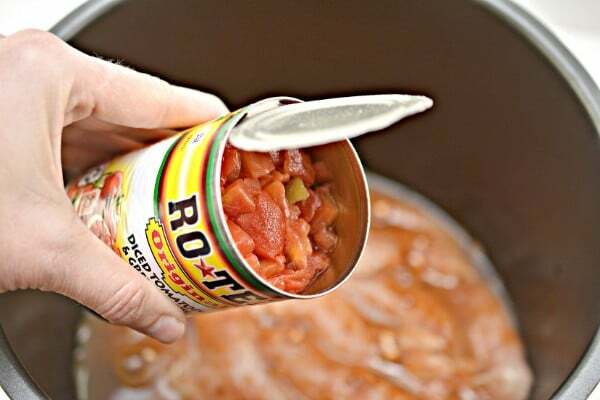 For the Rotel tomatoes, you can control the spiciness of the dish by choosing the version that fits your heat tolerance. Original is a nice balance between mild and hot if you want something with just a little heat. 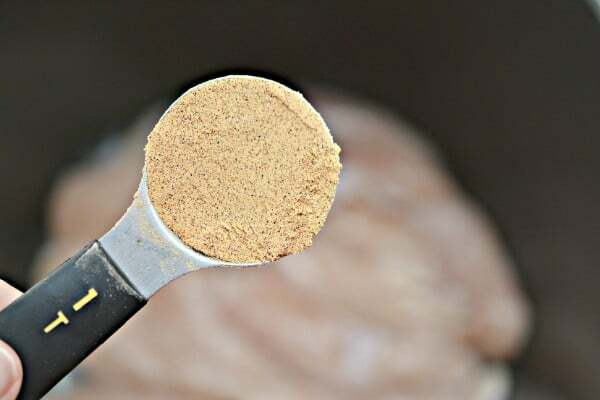 If you’re following a keto diet, use bone broth. Otherwise, chicken broth is fine. This recipe is pretty straightforward. No dicing, marinating, or sauteing. Really, the only thing you need to pay attention to is layering the ingredients properly to prevent a burn error and so things cook evenly. 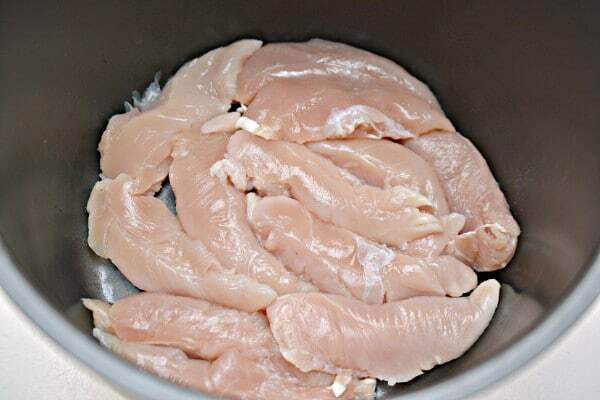 First, lay the chicken tenderloins in the bottom of the inner liner of your Instant Pot. Then, sprinkle the taco seasoning over the chicken. Next, pour in the broth. 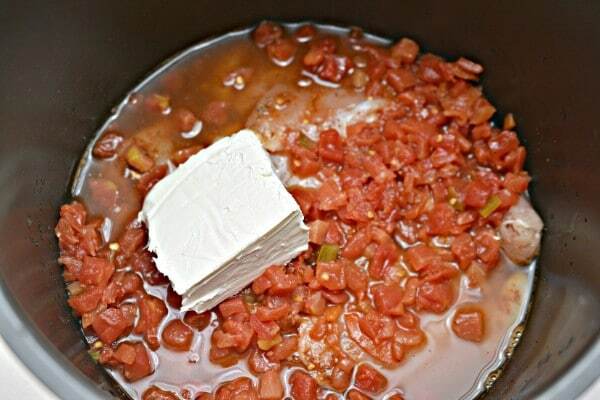 Add the Rotel diced tomatoes, making an effort to spread them evenly over the chicken. Now, it’s time to pressure cook this meal! Secure the lid of your Instant Pot and make sure the valve is turned to Sealing. Press “Manual” and set the time for 15 minutes. When the cook time ends and the timer beeps, allow for a 10 minute natural release (i.e. wait 10 minutes before turning the valve to Venting to release the pressure). Once the pressure has fully released, remove the lid. Stir to combine the chicken and sauce. Make sure the cream cheese is completely incorporated. We’re almost done! We just need to add the Monterey Jack cheese to make this dish extra cheesy and creamy. Stir the cheese into the dish until it’s fully melted. If you’re watching your carbs, you can spoon your Instant Pot Queso Chicken over cauliflower rice. Not concerned about carbs? Serve it over regular rice or with tortilla chips (my kids’ favorite version). Pair it with a side salad to round out the meal. Place the chicken tenderloins in a single layer in the bottom of the Instant Pot. 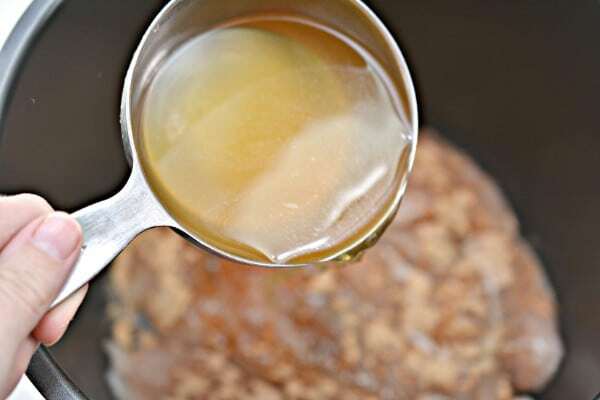 Pour broth over the chicken (use bone broth for keto, otherwise chicken broth is okay). 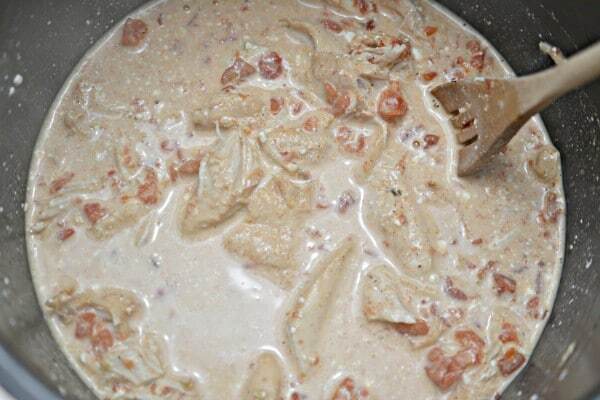 Pour a can of Rotel tomatoes evenly over the top of the chicken. Place cream cheese on top of the chicken. Secure the lid on the Instant Pot and set valve to Sealing. Set the Instant Pot to manual for 15 minutes. When the cook time ends, let the pressure release naturally for 10 minutes before turning the valve to venting to quick release the remaining pressure. Remove the lid and stir the ingredients to fully incorporate the cream cheese. Add the Monterey Jack cheese, and stir to combine. Continue stirring until cheese has fully melted. Serve over cauliflower rice for a low-carb or keto meal alongside a salad. For a kid-friendly meal, serve over rice or with tortilla chips. One reader recommended an alternate cook time for those who are concerned about overcooked chicken. Instead of setting the time for 15 minutes, she set hers to 3 minutes and then waited 6 minutes after the cook time ends before releasing the remaining pressure and had great results. I still recommend 15 minutes at high pressure since I dread undercooked poultry, but wanted to share her results for those who worry about overcooked chicken. 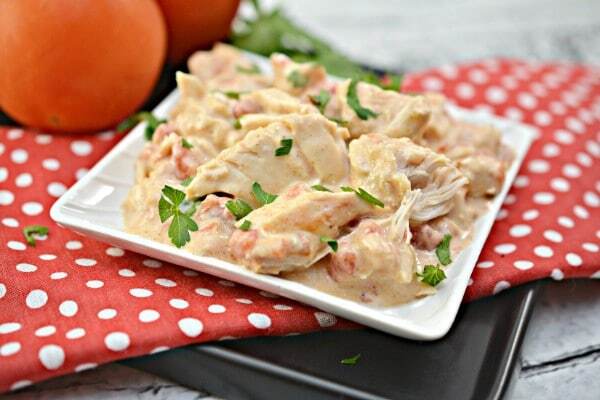 Your Instant Pot Queso Chicken looks fantastic! Thanks so much for sharing with us at Full Plate Thursday and hope you are have a great week! Corrine – thanks for sharing at Fiesta Friday! Instant Pot recipe for chicken is great. Im always looking for the next great IP recipe! Sounds yum and perfect for a bowl. Thanks for sharing at Fiesta Friday this week! This sure sounds yummy! Thanks for sharing the recipe. Looks delicious! Happy Fiesta Friday! Very good! I just made this and it was so yummy! The sauce ingredients hadn’t really mixed after 15 minutes so I put it on for another 10. It was perfect. We are in Denver and I don’t know if the altitude is an issue? Looks so easy and yummy! Thanks for sharing at the What’s for Dinner party – have a wonderful weekend. This is perfection! All of my family’s favorite flavors in the Instant Pot! I’m new to this and I don’t own an instant pot. Could this recipe be cooked in a regular Crock-Pot (slow cooker)? Thank you for your time and I look forward to hearing from you soon and have a good day. So easy and yummy!!! Love this! What a delicious and easy recipe! I’ll be making this again and again! I have found that setting instant pot on saute adding a couple pats of butter and searing chicken helps ensure it is done and heats up the pot for a shorter warm up. What a wonderful recipe! I use my Instant Pot so often, that it’s becoming difficult to find enticing new dishes to make. I made a few changes to suit my tastes. Fresh tomatoes and serrano peppers (I like it spicy). Also, I do everything I can to avoid over-cooking white chicken meat, so I adjusted the cooking time to 3 minutes high pressure and 6 minutes natural release and it came out perfectly in my opinion. Plus my 19 month old couldn’t have enough of it with cauliflower rice. Hi Jaime, thanks for all the great suggestions! I’m totally trying it with fresh tomatoes and serrano peppers next time (I like it spicy too). 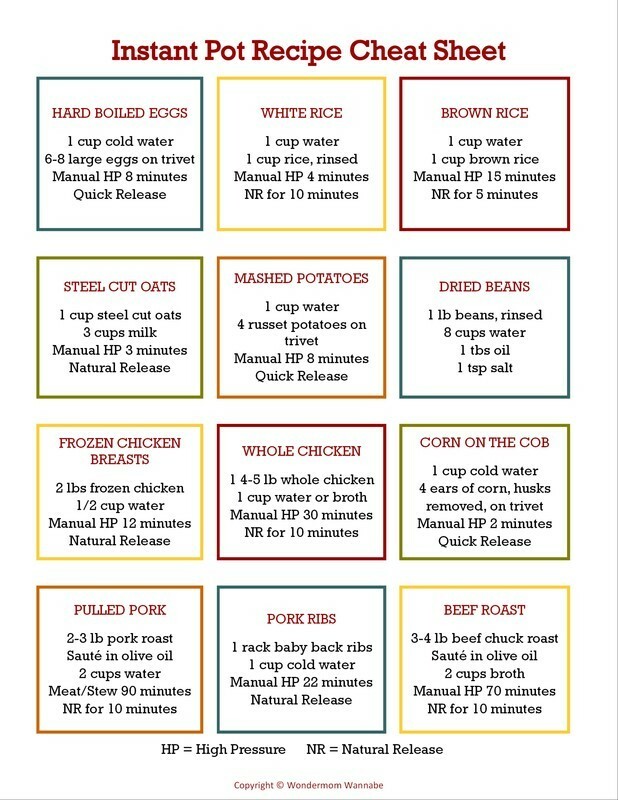 I’m going to add a note to the recipe card with your cook time since you had a good result in case others want to try it that way. I think I have a tendency to lean towards overcooked because I have a ridiculous fear of undercooked poultry. Completely understandable! Salmonella is no joke I hear. However even with the lower cooking time, it was still fork-tender. And I’d never heard of cauliflower rice before reading your post. So thanks for that, too. I got major kudo points with my wife and daughter! Do you know if the calories come down if the chicken is omitted?? Yes, the chicken accounts for 207 calories in each serving so you’ll reduce the calories dramatically if you omit it. 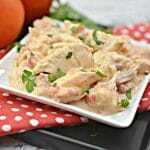 How long would you have to cook this recipe for iin a slow cooker for and at what setting? Thanks. 3-4 hours on high or 6-8 on low. The shorter times being when the dish would be cooked through enough to eat, the longer times indicating how long you could leave it in the slow cooker before it is overcooked. 1 I don’t have an instapot, can I use a Crock-Pot if so how? Can’t wait to try this recipe! Can I use another type of cheese? Absolutely! 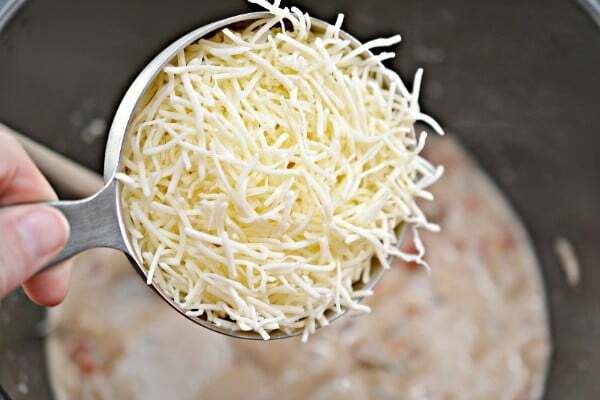 You can use any shredded cheese. Sorry, I should have clarified. Can I use something other than cream cheese? Oh! LOL. Well, that is a very different question. You could use ricotta instead. If you want, you could also sub in plain yogurt, but I would add that AFTER you pressure cook. Thank you! I’ll try ricotta! Hi or low pressure for the Instant Pot? Thank you! What is an instapot? Could this recipe be cooked in the slow cooker if I don’t have an instapot? I have a small kitchen and not much room to store a lot of stuff. Hi Michelle, Instant Pot is an electric pressure cooker. You can absolutely make this in a slow cooker. Just omit the broth because the slow cooker will generate condensation and doesn’t need liquid to come to pressure like the Instant Pot does.